On Sunday 09 November, 84 Squadron will split into two contingents to attend both the Baginton and Coventry Remembrance Parades. Cadets have been assigned to each parade so please check details below for each one. Meet at Spencer Avenue at 0945hrs. Uniform: No 2 (Wedgewoods) - Trousers / Skirt, Long-sleeved shirt, tie, beret and jumper. No Waterproofs allowed for the parade. Meet at 84 Sqn HQ at 0930hrs. The parade will end at approx 1200hrs at Baginton Royal British Legion. Cadets need to be collected from the Legion in Baginton Village centre, NOT from the Sqn. Please bring some change for the collection. 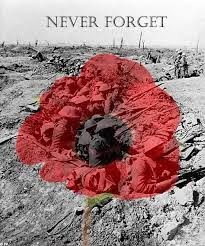 EVERYONE needs to wear a poppy (Instructions on how to wear it are on the Facebook page). Remember that the weather is much colder and both parades will spend the majority of time outdoors, therefore warm layers are advisable as long as they can't be seen under your uniform!